The city of Besançon in Franche-Comté, northeastern France, changed hands many times during its long history. When the city was captured by Louis XIV of France in 1668, he dispatched the famous military engineer, Sébastien Le Prestre de Vauban, to draw up plans for fortifications. France lost control of the city again to Spain, for a while, but six years later regained it. Vauban then returned to the city, and supervised construction if an impressive set of fortifications (including the Citadel, city walls, and various forts) which dominate the city to this day. Today the Citadel of Besançon is a major tourist site, visited by approximately a quarter of a million visitors each year. The Citadel contains several museums, as well as a restaurant and shops. 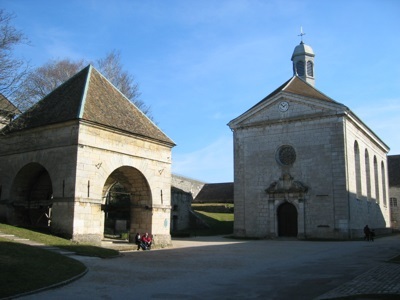 The Citadel of Besançon has been designated by the French Ministry of Culture as a Monument historique since 1942. Additionally, UNESCO has designated the Citadel and the nearby Fort Griffon as a World Heritage Site since 2008.